* I lost the pamphlet in my move to Thailand so now I have no information about the museum. 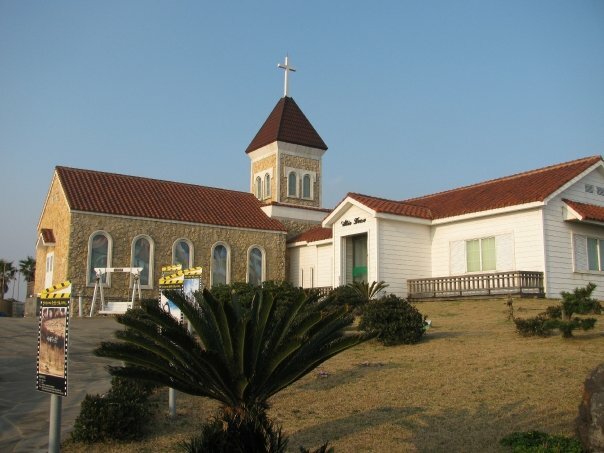 If anyone has any information about the resistance on Jeju island, please leave a comment below. In the late 19th century many Western countries were colonizing Asian and African countries with the benefit of trade and economic power. Japan saw this and began to think. Would they soon be crippled economically? How long before some European country slithered its way into Tokyo like the British did to India? Japan, in order to protect itself, needed to be bigger, stronger, and more modern. It needed help. It looked to Korea, its closest neighbor, but Korea, at the time was heavily influenced by China. Japan needed to get in and break that bond. 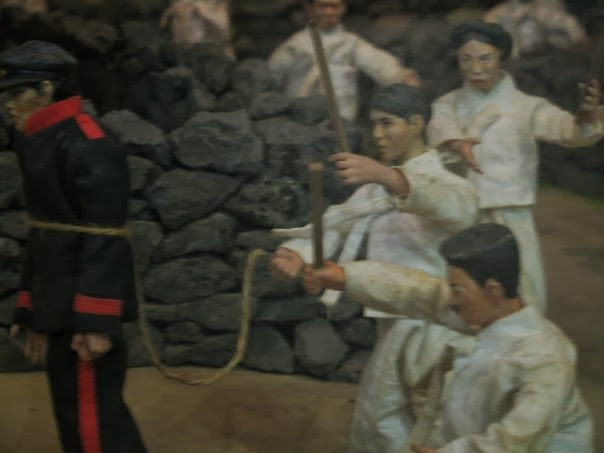 Korea, having had bad experiences with the French occupying the island of Ganghwa, and some fights with the Americans over trade, didn’t want to enter any more trade agreements with anyone. The Japanese weren’t going to take no for an answer and forced the Koreans to sign the Treaty of Ganghwa. The Japanese got a better deal than the Koreans in the pact. In 1905 Japan occupied Korea. In 1910 Korea was officially annexed. 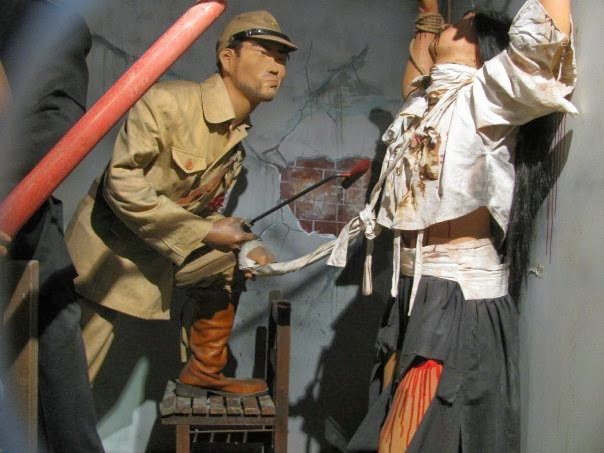 If you have read anything about Japan around the end of the 19th century and the beginning of the 20th century, you know that Japan was sadistic and cruel to its enemies which was basically anyone not Japanese. The Koreans did not like the annexation by Japan at all. There were many protests and demonstrations by the Koreans hoping to get the Japanese out of their country. The results of these protests were normally the imprisonment, beating, torture, and execution of the Korean resistors. There are numerous accounted and unaccounted incidences of Japanese cruelty towards the people of Korea. The brutality was not saved for just protesters, though. If a village were thought to be hiding rebels, all the people in the area would be rounded up and killed. At the museum, we saw pictures of mass graves for murdered children. The Japanese also used many Koreans females as “comfort women“. While under the Japanese rule, many roads and railway systems were built. This was done mainly to help the Japanese military with easy access throughout Korea to ensure Japan’s hold on the country. The roads are still used today and the railway system is the basis of today’s KTX. The annexation of Korea ended in 1945 when Japan surrendered to the US. 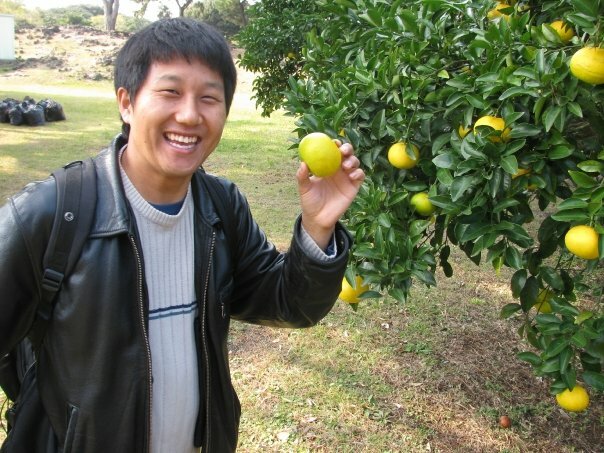 Korea was carelessly split into two countries. The north was under the protection and influence of Russia. And the south was under the protection and influence of the United States. None of these countries fully trusted any of the other countries. To foreigners living in Korea, it would seem that the relationship between the Korea and Japan is strained with petty squabbles over tiny rocks in the Sea of Japan. Even the name “Sea of Japan” will cause anger to Koreans who say that the water should be called the “East Sea”. But overall, relations between Korea and Japan are pretty good considering all that has happened between the two countries. 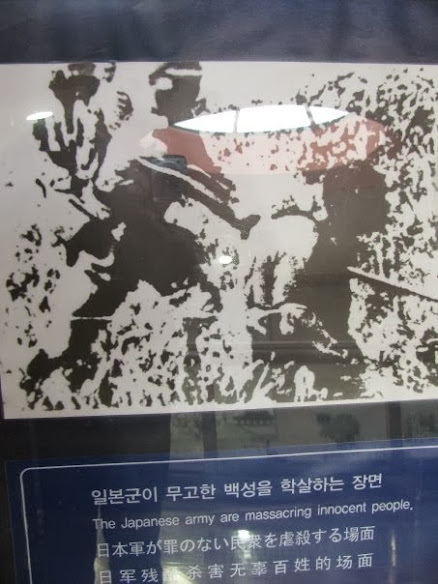 Japan has never officially apologized for all the heinous and inhumane acts committed against the Korean people and it probably never will. Korea does trade and conduct business with Japanese companies, though you will still see people of the older generation picketing outside a Toyota or Honda dealership in Seoul. 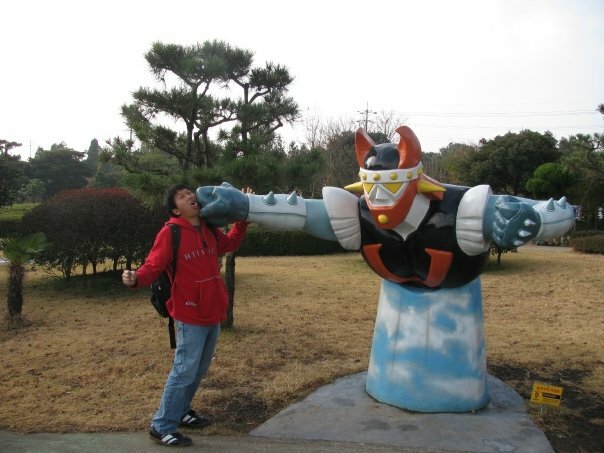 The Japanese on the other hand adore K-pop, K-dramas, and Korean celebrities. They seem not to fully understand what happened with Korea, why Koreans dislike Japan, and a small fringe group of Japanese wonder why the Koreans in Japan don’t “go home”. But, Japan is this way with many countries. 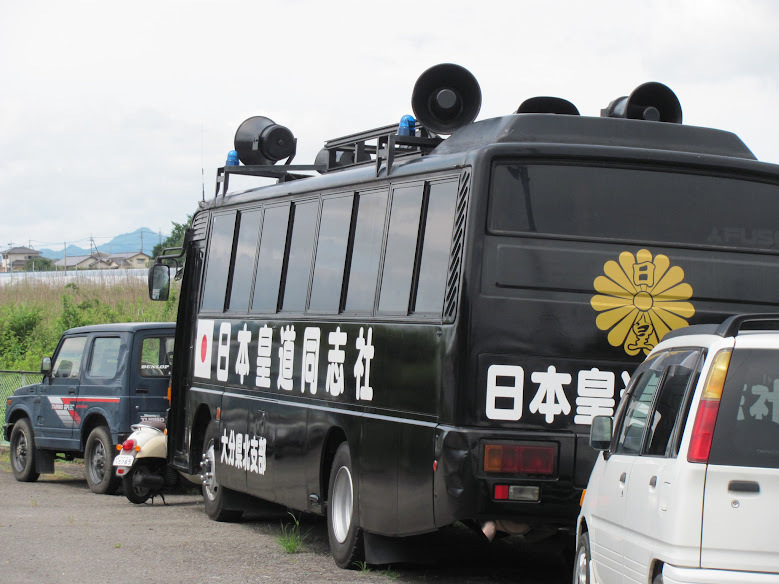 Unlike in Germany, students in Japan are not taught the negative aspects of Japan’s history, so most Japanese really don’t understand the cause of the tension. All the airport limousines to Incheon Airport from Seoul stops at Gimpo Airport. Just look out for the bus stops with a plane on them. These buses cost 8,000KRW without a T-money card and 7,500KRW with one. 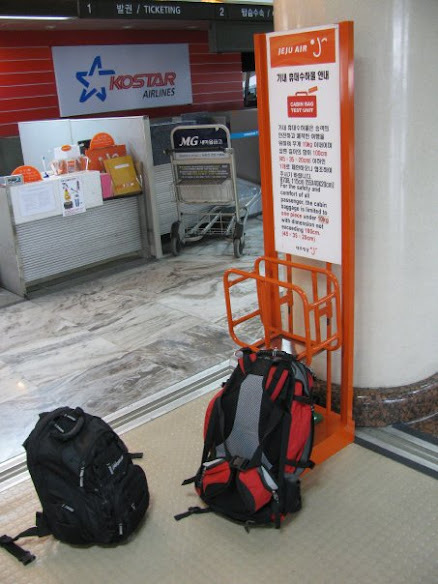 Take the bus from Jeju City Bus Terminal gate 4. 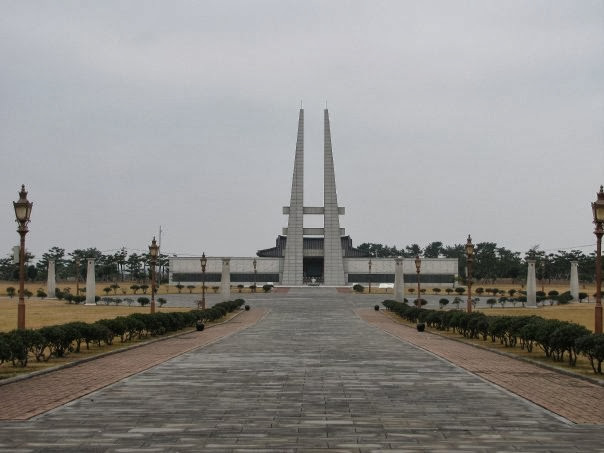 Say that you want to go to Hangil Memorial in Jocheon. 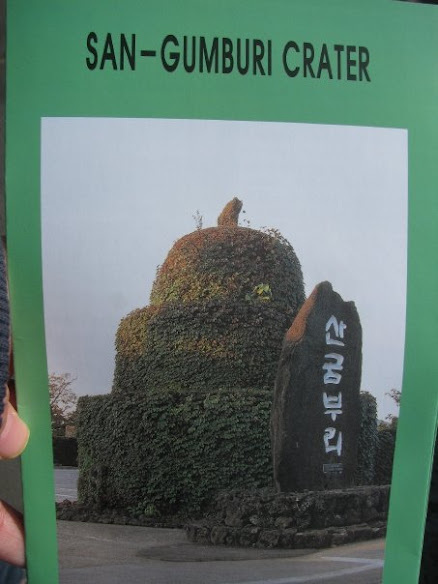 There is also an anti-Japanese monument tower near the Haenyeo Museum. Today was one of those “what we would have done had we known better” days. First we went to see the lava tubes. It was a long walk through the dormant volcano. Then we walked to the maze. It’s a short lovely walk. We spent the next 45 minutes getting lost and un-lost in the maze. 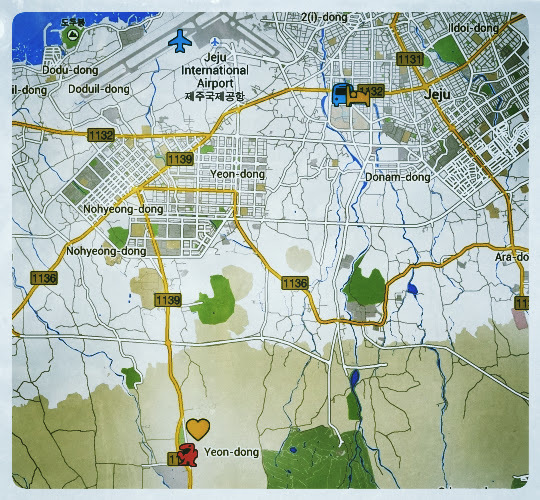 Since we couldn’t get directions to the Haenyeo Museum, we asked about Seopjikoji instead. One guy told me, “bus” then pointed out to the road. “Walk 30.” He meant that the walk was 30 minutes down the road. Mark and I were getting hungry at that point and we were not in the mood for another long walk. 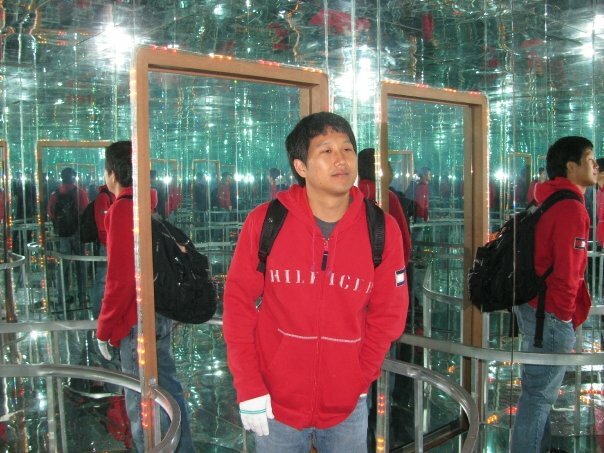 We knew that a bus goes to the Manjanggul cave and that it’s just a 10 minute walk away, so we went there. We looked at the bus schedule and saw that we had just missed the previous bus. The next one wouldn’t be around for another hour and a half. There was a restaurant near the cave so we ate there while we waited for the bus. The restaurant’s kimchi jjigae was one of the best I’ve ever had. It was so meaty! When we were done we strolled around the grounds. I laid down in the grass with a faint thought of a nap in my mind. Mark looked up and saw a bus. “Hey! That’s our bus!” There were 2 schedules apparently, and I had only looked at one. We waited for the next bus. It drove right past Manjanggul’s entrance and never came in. It was now time for some walking to the main road. It was not a 30 minute walk; more like a 20 minute saunter. And it was quicker than waiting for the bus. When we got on the main-road-bus we told the driver where we wanted to go. At our stop he told us to get a taxi the rest of the way. That’s when we met Benny. He was on our bus and headed in the same direction. As we made our way up Seopjikoji we found out that we were all staying at the same guesthouse. Mark and I decided that Benny’s first Korean meal should be not just samgyeopsal, but Jeju samgyeopsal. We saw a few more things before heading back to the hostel. We asked the lady at the desk for a good samgyeopsal place. She wrote a note on a post-it for us to show the taxi driver. When we got to the restaurant I stuck the note to the bill on the table. The waitress saw it and thought it was the cutest thing. She kept giggling and showing it to all the other waitresses. I’m still not sure what was so entertaining about it. 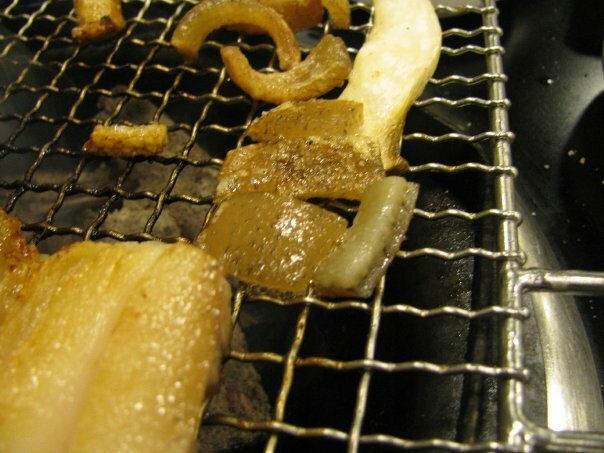 We ordered the famous black pig samgyeopsal that Jeju-do is known for. It was delicious, but they kept the skin on… turns out, black pigs are hairy. Take the bus at gate 4. You can use your T-money card. The first bus is at 6:00 and they leave in every 20 minutes after that. You can get off when you hear the English ad for the Lava Tubes at the Manjanggul stop. From here you have to cross the road and walk to the cave. 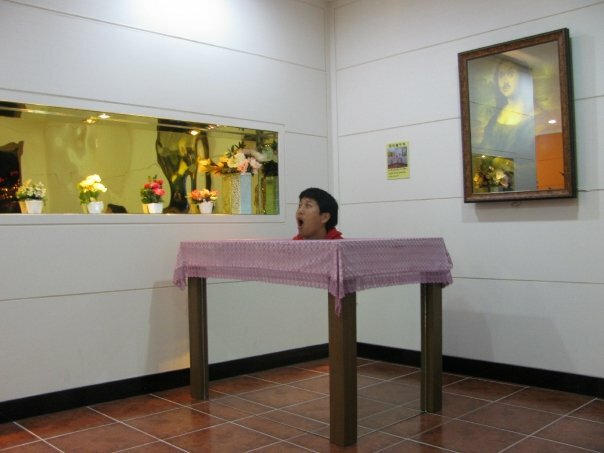 The bus driver might drop you off at Gimnyeong-ri. From here you can take a bus to the cave. 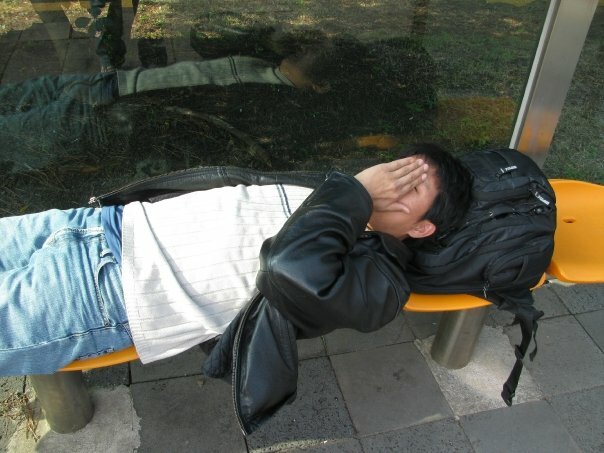 The bus doesn’t come very often, so it might be better to go the Manjanggul bus stop. Check the schedule for the bus that takes you to the main road. If one isn’t coming in the next 20 minutes just walk to the main road. Walk towards the Gimnyeong Maze Park. There is only one bus that passes on that main road. It’s the bus you took to get to the cave. 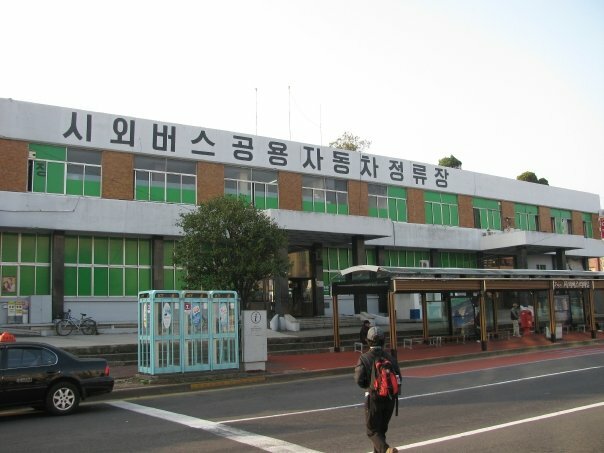 The bus stop on the side opposite the ocean will get buses going to Seogwupo City Bus Terminal. 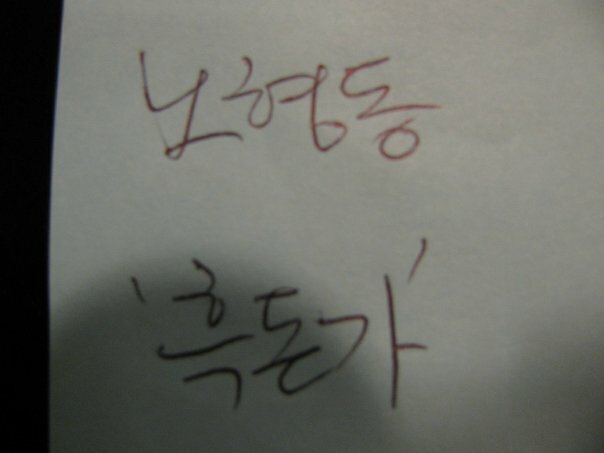 The directions are the same as the Manjanggul cave. From here you have to cross the road and walk to the maze. Walk away from the lava tubes. There is only one bus that passes on that main road. It’s the bus you took to get to the cave or maze. get on the bus at gate 4. Get off at Sinyang-ri and take a taxi or walk the rest of the way. Remember to tell the bus driver where you want to go so that he can tell you when to get off. go to the main road, wait at the bus stop on the side opposite the ocean, and get on the bus that stops there. Get off at Sinyang-ri and take a taxi or walk the rest of the way. Remember to tell the bus driver where you want to go so that he can tell you when to get off. get on the bus at gate 4. Remember to tell the bus driver where you want to go so that he can tell you when to get off. You can walk the rest of the way. go to the main road, wait at the bus stop on the side opposite the ocean, and get on the bus that stops there. Remember to tell the bus driver where you want to go so that he can tell you when to get off. You can walk the rest of the way. Does this thing make my bag look big? Mark and I got to Gimpo Airport way ahead of time. We didn’t want to be late and we had nothing better to do with our time. Besides, I love hanging out at airports. We checked in at JejuAir. I noticed the very tiny sized baggage restriction demo near the counter. I placed my backpack on the demo and saw that my backpack was more than twice its size. I asked the lady at the luggage check-in if I could carry my bag on. She said it was okay. When it was time to go through security, I noticed that my name was misspelled. My real first name is J-O-S-E-P-H-I-N-E. My nickname is J-O-S-I-E. My ticket said, “J-O-S-I-E-P-H-I-N-E” with the last 5 letters written in pen and a stamp above it. I looked at the ticket and giggled. “They wrote my name wrong.” I guess the security lady heard me, because she scrutinized the ticket and would not let me pass. I went back to the ticket counter to get my ticket reprinted. The lady at the counter could not see the difference. She kept looking at my passport then at the ticket. I had to point the mistake out to her. “Oh,” she said, then pressed the print button on her keyboard. I thought it would come out with my name correctly spelled on the ticket. 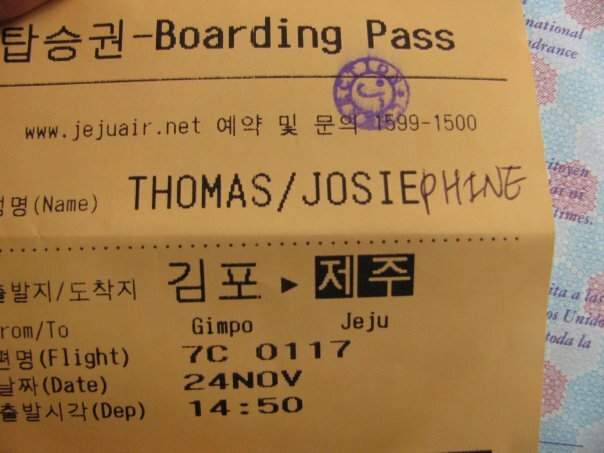 It still said J-O-S-I-E. Then the lady took out her pen and crossed out the I-E and wrote E-P-H-I-N-E. The ticket was then topped off with a tiny blue stamp. Mark handed the guard one of his lighters. So I guess bringing flammable liquids on a plane is okay as long as you just have one container. Would anyone care for a drink of water? 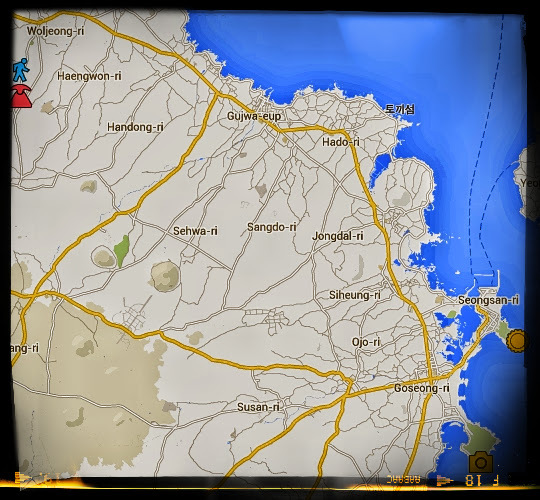 On our first day on Jeju we visited first the Mysterious Road then Love Land. Love Land was great. As expected there were lots of ajumas (older ladies) and ajusshis (male counterparts of the ajuma) pointing at things, giggling at things, and yanking on things. They get so scandalized, but they just can’t look away. The Mysterious road, however was a bit of a let down, but still okay-I-guess. 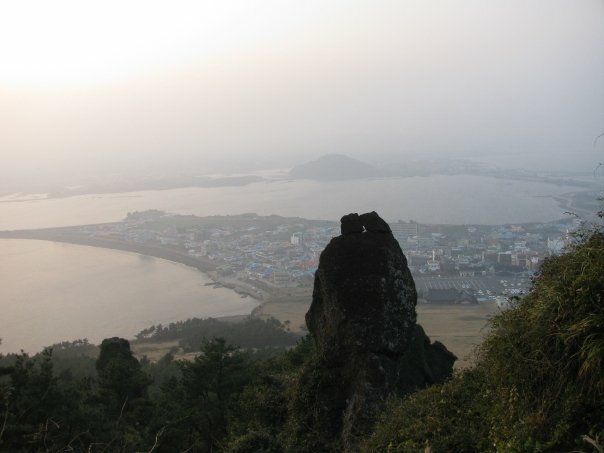 If you can fly Jeju Air, it will probably be the cheapest option. 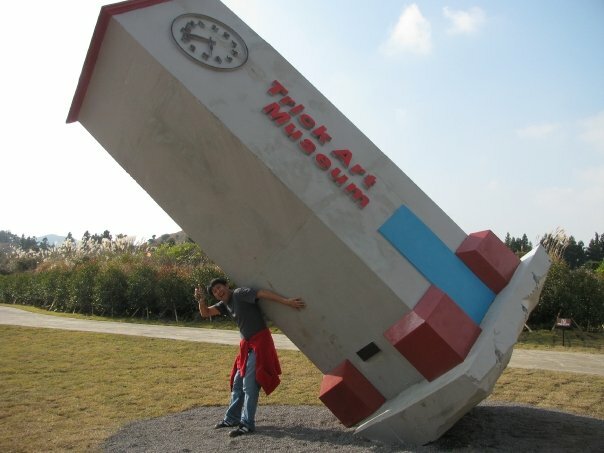 There are only a few cities in a few countries in Asia that Jeju Air flies too. Jeju Air is also a cheap way to fly to Seoul/Incheon from other countries too! 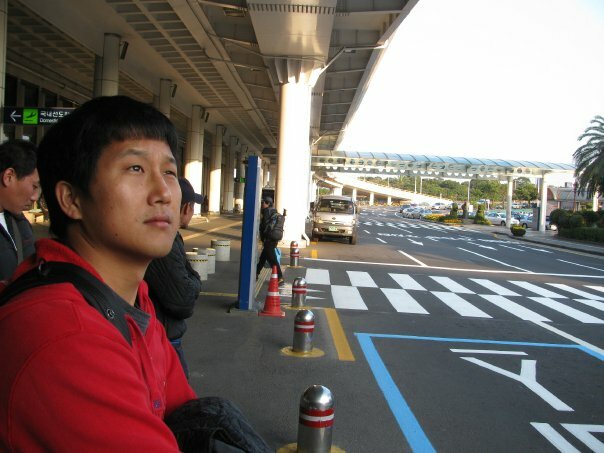 All the airport limousine to Incheon Airport from Seoul stops at Gimpo Airport. Just look out for the bus stops with a plane on them. These buses cost 8,000KRW without a T-money card and 7,500KRW with one. I have compiled a list of the buses and the various tourist attractions they pass. According to the website Love Land is a 10 minutes cab ride from the airport. 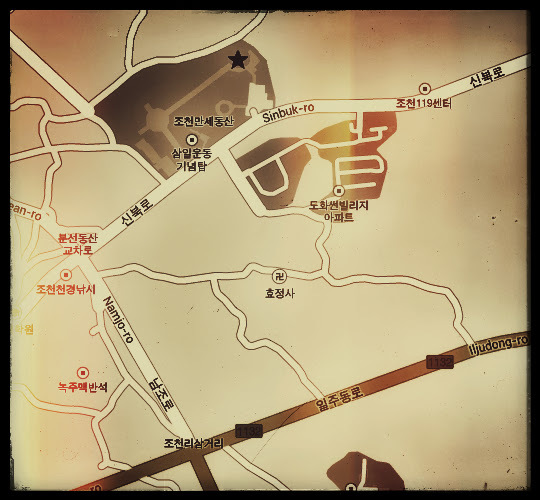 You can also get the bus at gate 2 at the Jeju Bus Terminal (제주종합버스터미넌). This road is near Love Land. 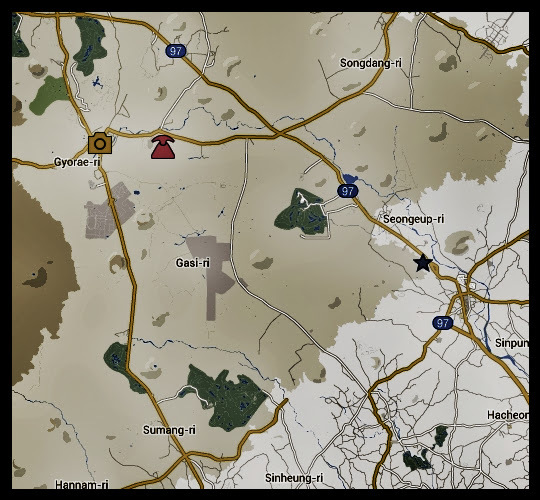 Use the map below and directions above to get there. 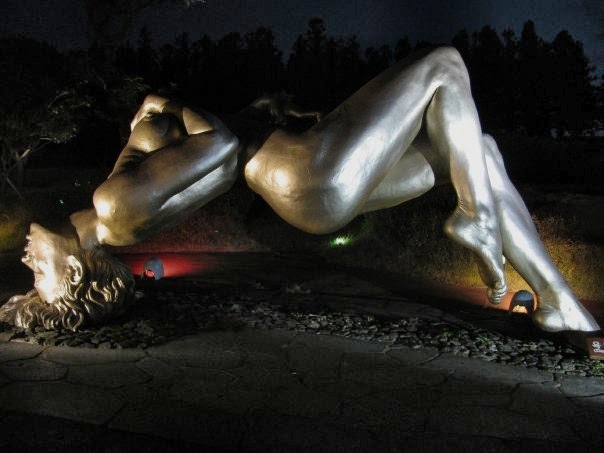 Walk pass Love Land a bit and you can’t miss it.